Botox is one of the many cosmetic services offered by Cherokee Women’s Health Specialists and it’s one of the most requested treatments. Since the FDA approved Botox for cosmetic use in 2002, millions of Botox injections have been administered. 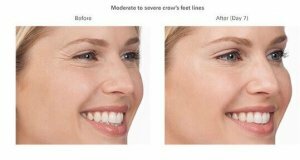 Botox Cosmetic is the only approved treatment to temporarily improve the appearance of both moderate to severe frown lines between the brow, and crow’s feet lines around the eyes. Botox injections can also help lift the eyes and give a more youthful and refreshed look. Cherokee Women’s Health offers Botox injections by experienced and double board-certified physicians. What is Botox and What Does it Do? Simply explained, Botox Cosmetic is an injection of a serum that temporarily freezes muscles that form age-revealing wrinkles and lines. As the brain continues to send messages to muscles, urging them to function as normal, the anesthetizing effect of Botox renders those commands ineffective. This prevents laugh, squint, worry, or grimace furrows, called dynamic wrinkles, which normally form over time from being visually prominent. The result with Botox is smooth, supple and youthful-looking skin. Botox Cosmetic is one of the most extensively studied medical aesthetic treatments and is approved for cosmetic use in 78 countries. Botox Cosmetic has a record of experience that aesthetic specialists know and trust. And, the safety and efficacy of Botox Cosmetic have been evaluated in 417 peer-reviewed articles in scientific and medical journals as well as clinical trials by Allergan, the manufacturer of Botox. The Botulinum used in Botox is, in fact, a toxin, but if it is used in clinical applications by a knowledgeable and accredited professional like those at our facility, it is perfectly safe. Many toxins found in nature, such as blood thinning snake venom, opiates from poppies, aspirin’s salicylic acid from plants and willow trees, etc., have dramatic medicinal benefits when used in small quantities. Botulinum is an equally valuable curative. It was used for other purposes long before its aesthetic qualities were recognized. It poses no danger because only minute quantities are used for Botox injections. It is further diluted with sterile saline as per FDA guidelines. It is never injected intravenously, which would certainly cause problems, but is, instead introduced directly into targeted muscles. Chemical Botox use is safe, but it cannot be stressed enough that it should always be administered by a qualified provider who is a cosmetic expert. There are many benefits, but the most enticing is the pleasing, age-defying appearance that Botox injections offer you. Wrinkles and lines that naturally appear over time are softened or completely eliminated, removing tell-tale signs that reveal the passage of decades. The ability to look as young as you might feel is a monumental plus for any woman. The self confidence that accompanies that positive self- image is equally gratifying. Botox, in combination with fillers, has been referred to as the liquid facelift, and for good reason; the rejuvenation process is achieved non-invasively, without any of the surgical intervention of the past which achieved the same results. What is the Difference Between Botox and Facial Fillers? Botox is only effective against dynamic wrinkles- those lines and furrows caused by the repetitive muscle movement which the product paralyzes. It is ineffective against collagen and elasticity breakdown of the skin which naturally weakens and sags over time. Fillers plump up the resulting grooves between those wrinkles to even out the skin—a similar process to adding joint compound to drywall to achieve a smooth finish after painting. 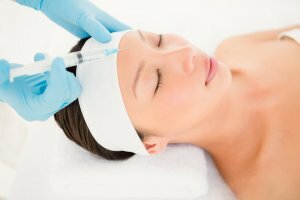 At What Age Should Botox Treatments Start? When Botox was first introduced as a wrinkle suppressor, women who were approaching middle age normally sought out the services of a plastic surgeon for this procedure. Today, however, more women are using Botox as a preventative measure before wrinkles become apparent, typically beginning treatments at around 25 years of age. If you are interested in combatting wrinkles before they appear, Botox treatments may be right for you. Early intervention suppresses the process of the skin’s natural elasticity and collagen deterioration. Muscles that help form wrinkles and stretch skin remain in a dormant state, leaving your skin smooth and ripple-free. Regular treatments have helped women as old as 75 appear almost ageless. The brow: To eliminate furrows in the area between the eyebrows (glabella) caused by frowning, scowling, or concentrating; to lift brows for a more symmetrical appearance. Scars: To make them less noticeable. What Are the Other Benefits of Botox? Muscle stiffness in wrist, elbow, and finger muscles (upper limb spasticity). Depending on the location, and if administered correctly and in the proper dilution, the effects of cosmetic Botox injections can last 4 to 6 months. Wrinkle depth, your age, skin elasticity, and other factors impact duration as well. No anesthesia is required for Botox treatments as it is virtually painless. Most patients say that the injections feel like a pinch. Any discomfort can be relieved locally with ice or a numbing cream. Can Anyone Receive Botox Treatments? Have extreme damage from sun exposure. What Information Should I Provide or Receive to Ensure the Best Results? It is important that you notify your doctor of any medications, vitamins, supplements, social drugs or alcohol you use regularly. You should also supply a complete medical history, along with a list of any allergies. After you have received your injections, you may resume normal activity immediately. The entire procedure takes approximately ten minutes. Noticeable results begin to appear within 24 hours. You will be cautioned to avoid applying pressure or rubbing around the injection site, as this may cause spread of the Botox to untargeted areas. If you have been injected between the brows, you will be directed to not bend over or lie down for several hours to prevent eyelid drooping. Always call your doctor immediately if you experience any undesirable side effects previously mentioned. Is Botox Covered by Insurance? Unfortunately, no. Cosmetic Botox is an elective aesthetic procedure and is not covered by insurance providers unless you are having it done for an FDA-approved medical purpose. Always check with your provider. 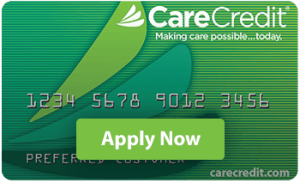 Prices vary and are calculated by the amount of injections you need. It is important to always ask how much saline dilution will be used, and to question ‘special low prices’. Using more than 4ccs of saline per 100 units of Botox thins the product and makes it less effective and may result in undesirable effects. This should all be discussed prior to treatment. Why Should I Choose Cherokee Women’s Health Specialists for my Botox Injections? Botox treatments have become so popular that these injections are now being offered by inexperienced and untrained individuals. Trendy facilities such as ‘medical spas’ have opened to meet the rising demand. Although Botox is safe and effective, it can be extremely dangerous when improperly injected or not measured accurately. Results can range from being ineffective to causing permanent irreversible damage. Only an accredited specialist can assure success. At Cherokee Women’s Health Specialists, Drs. Haley and Litrel are board-certified Urogynecologists and OB-GYNs with doubly accredited degrees in both OB-GYN and Female Pelvic Medicine and Reconstructive Surgery (FPMRS). These qualifications require years of training, experience and education. To acquire FPMRS standing, stringent criteria set forth by the American Medical Board of Specialties must be met. This certification enables our physicians to not only diagnose and treat all aspects of your genital and reproductive health, but to also tend to any cosmetic, rejuvenation, and reconstructive surgeries, including Botox injections, necessary to maintain your health and well-being. Dr. Haley has been trained and certified in Aesthetic Injectables since 2007. Our expertise in these fields, along with our commitment to maintaining our impeccable reputation, ensures that your cosmetic needs are met in a comfortable, friendly environment with precise attention to every detail and medical requirement. Focusing on your well-being and safety is our priority from the moment you place your trust and Botox needs in our capable hands. Call to schedule a free consultation with one of our double board-certified physicians at (770) 721-6060.